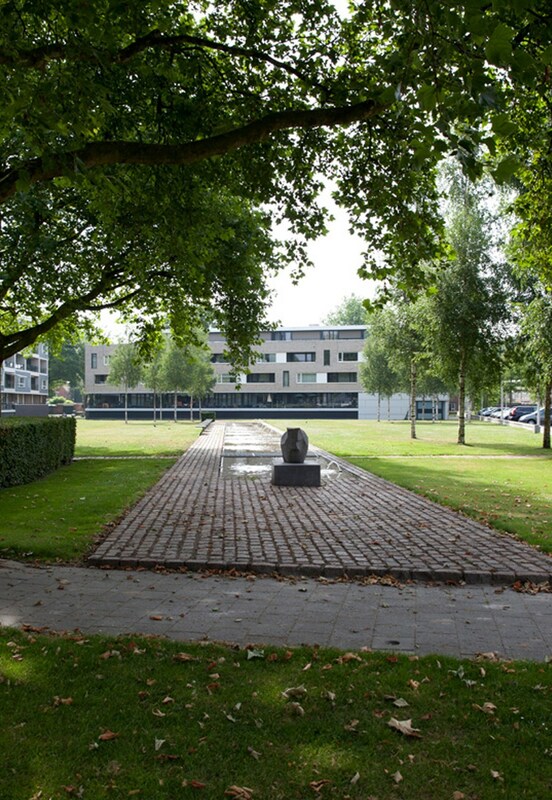 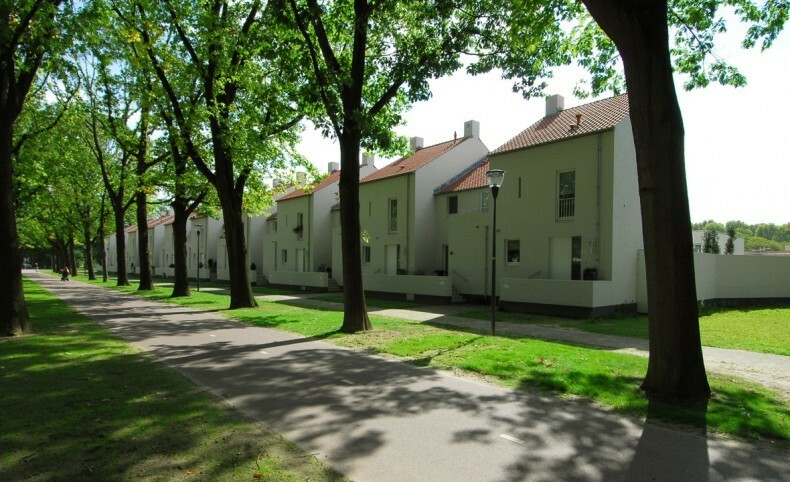 Friezenlaan is a new residential area in Tilburg, in the south of the Netherlands. 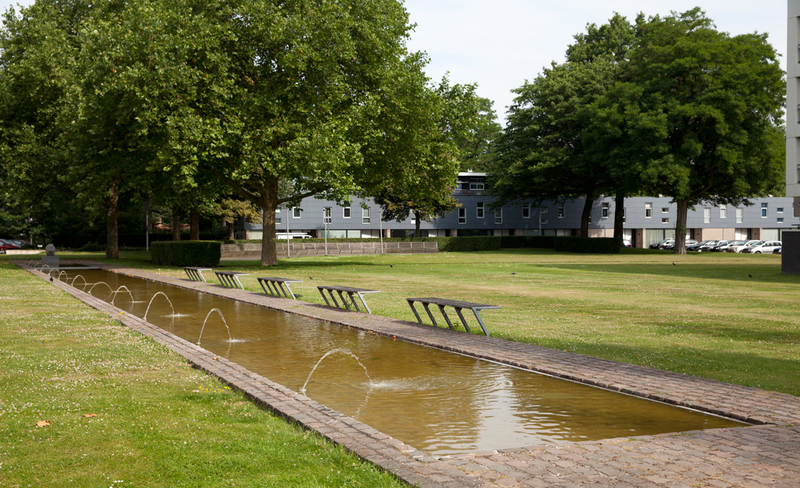 The 3.7-hectare site was originally a swimming pool ringed by various residential areas. 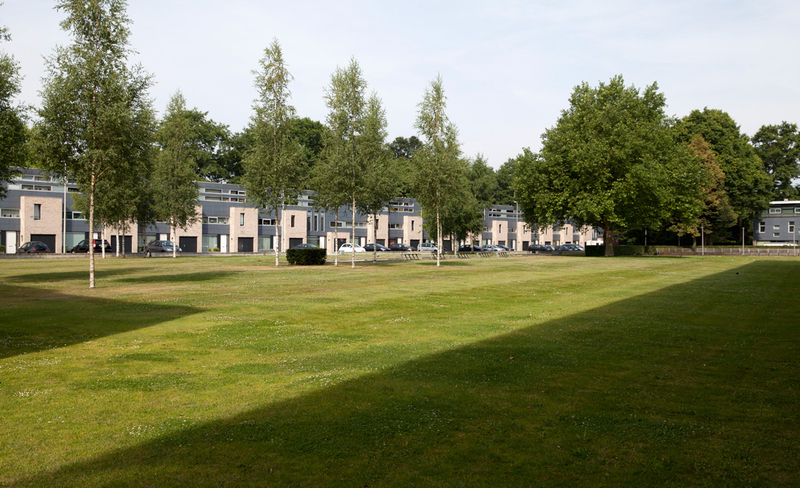 The municipality of Tilburg approached karres+brands and DAT architects with a request to create a design for Friezenlaan, a new residential area with 34 houses and 98 apartments. 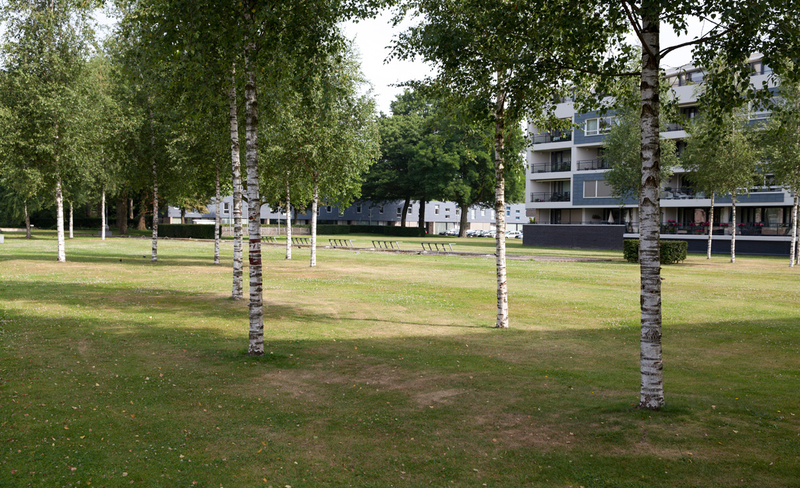 The starting point for the redevelopment of the former swimming pool into a high-quality residential area is maintaining the present scenic qualities. 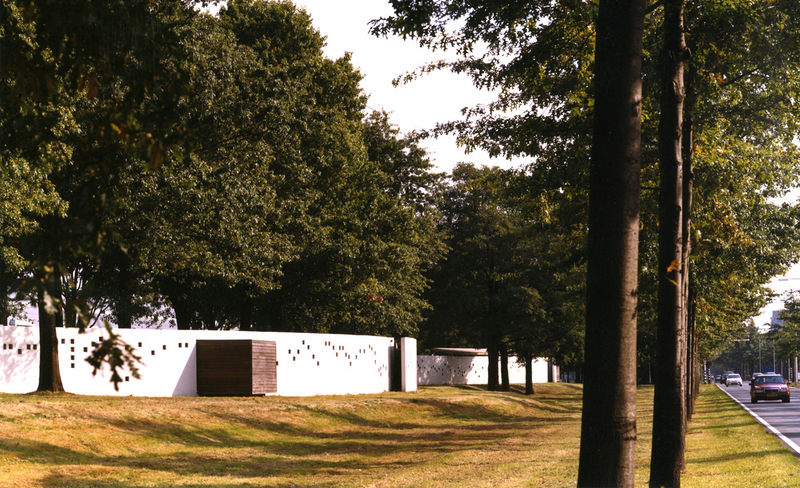 The preservation of existing monumental trees, in combination with the required density, the noise pollution of the Baronielaan, and the significant differentiation in housing types, turned out to be a complex design task. 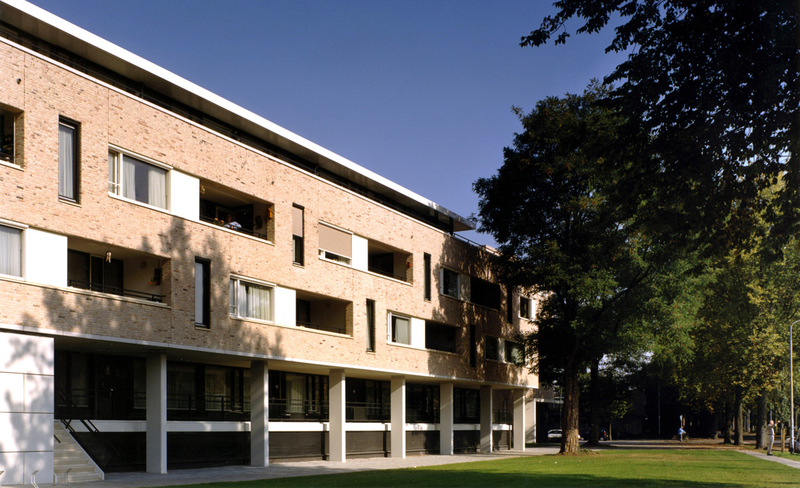 A new interpretation of the traditional closed block was sought. 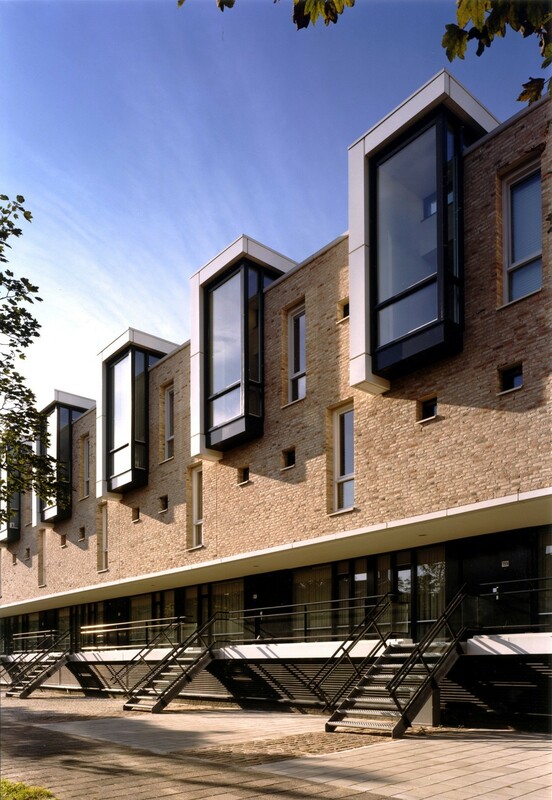 By breaking open the closed block and transforming its building volumes, these can conform with, or enter into a new relationship with, the existing tree groups and the surrounding built area. 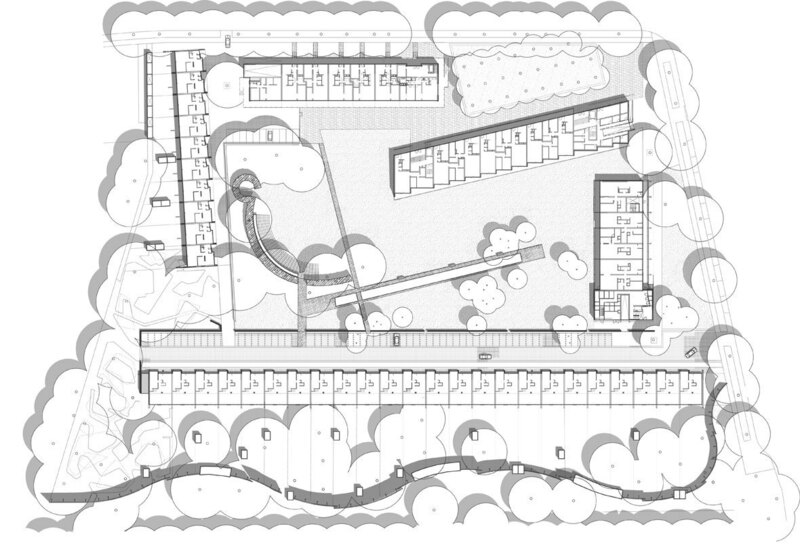 Through the situation of building volumes, a public courtyard with the character of a closed private area is created. 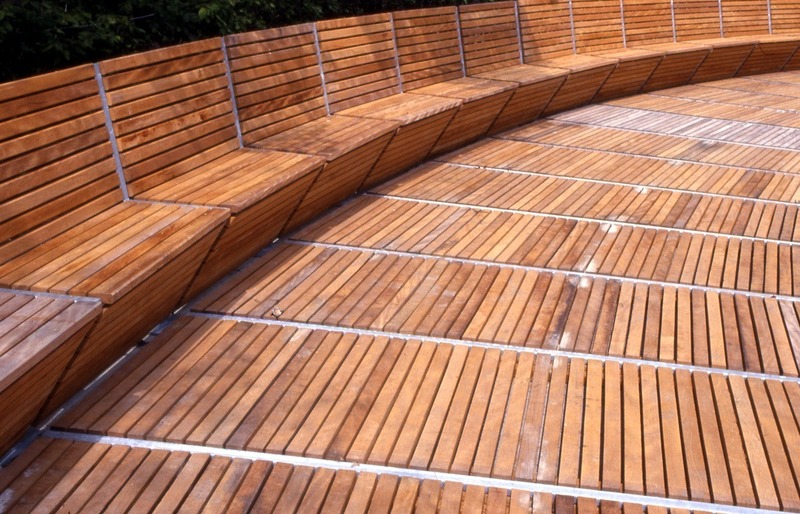 In the inner area are a number of community facilities, including a huge bench that can seat all of the residents, a shaded garden, and—as a reference to the former swimming pool—one lane of the old 50-metre pool in the shape of a long, shallow pond element. 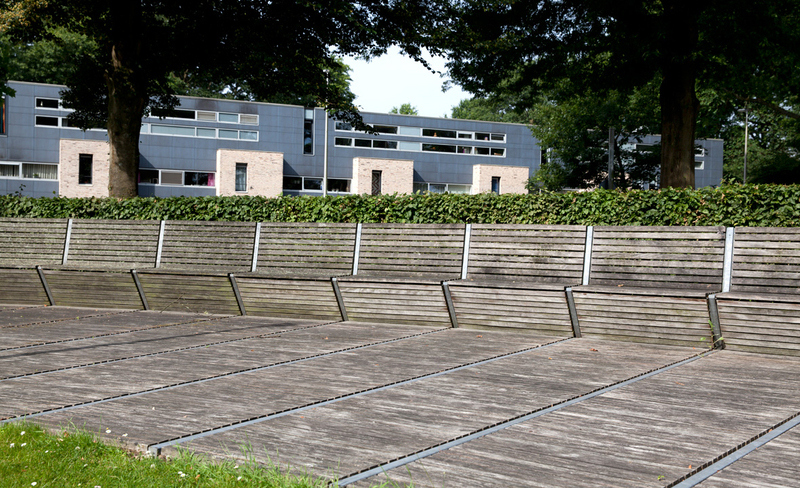 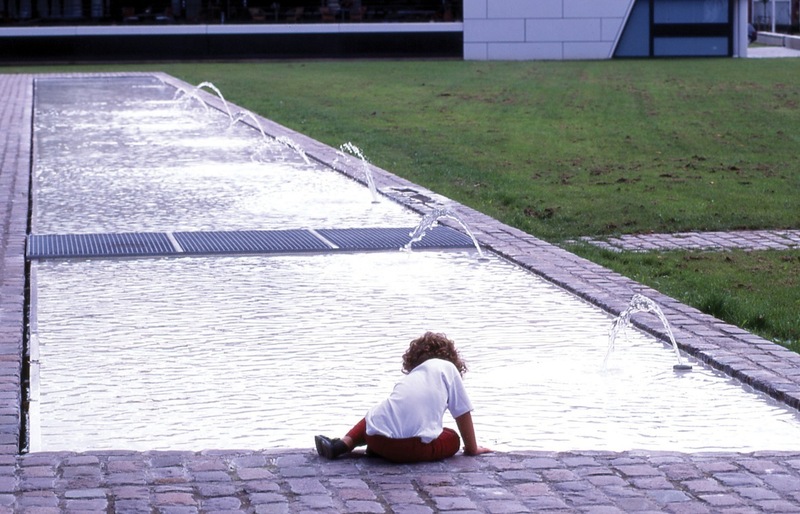 This strip is framed by the original pavement of natural stones and has several benches alongside it, inspired by the former pool’s diving boards. 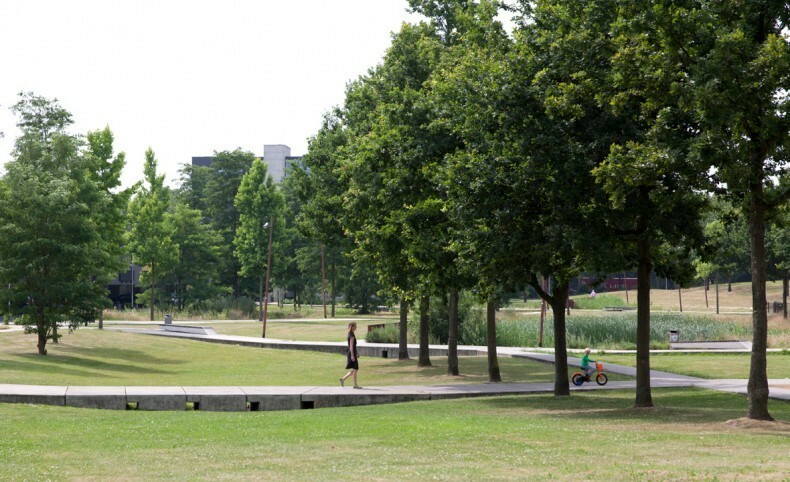 Every one of the 135 existing trees has been preserved, and the former lawn with its encircling hedge is now a part of the new park. 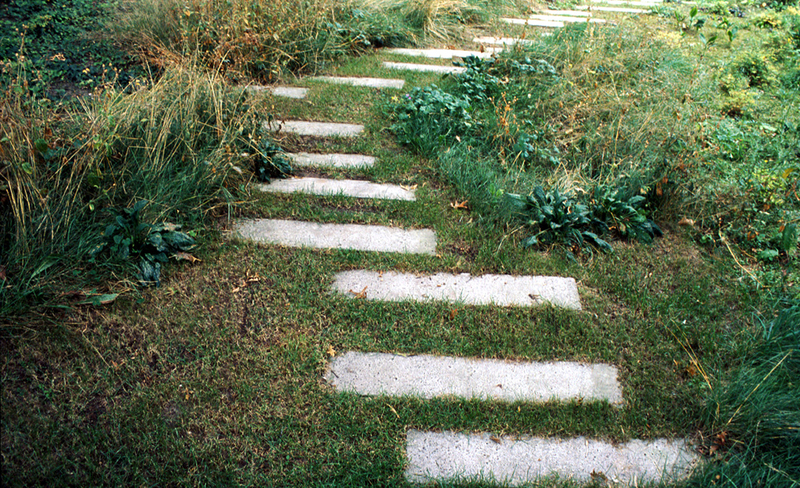 The area is owned by the new residents, but is publicly accessible. 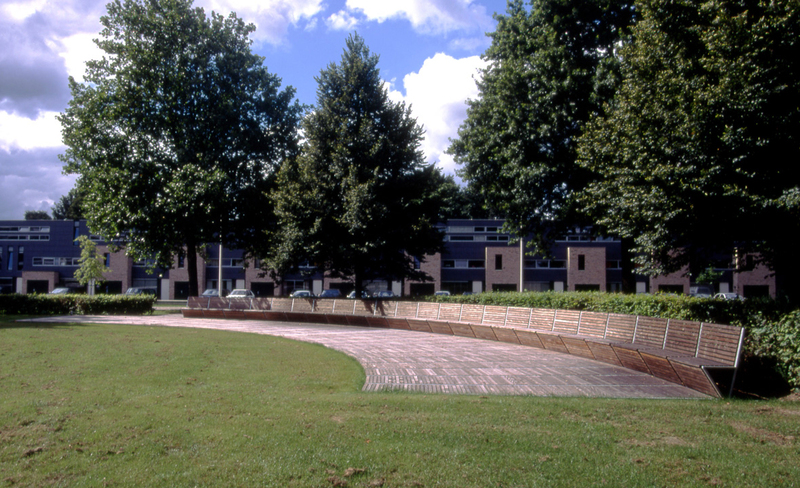 Because it will be maintained and managed by the residents’ association, the outdoor space is of a remarkably high quality. 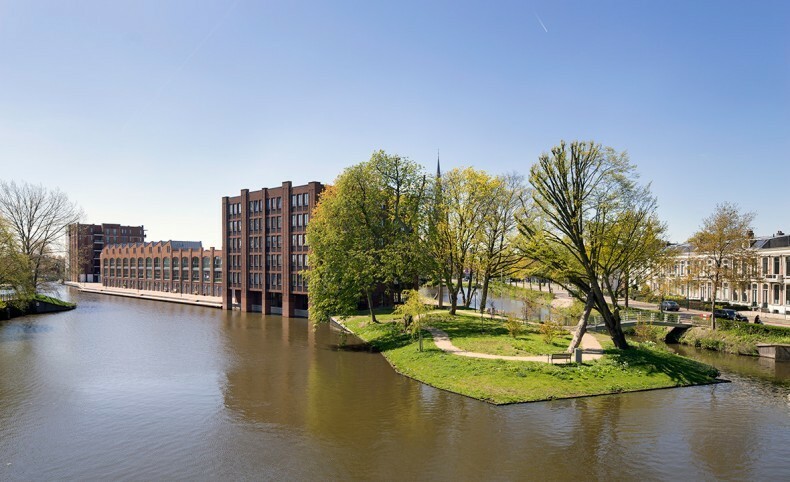 The design was one of the nominees for the Golden Pyramid 2004, and won the national Omgevingsarchitectuurprijs (Environmental architecture prize) in the same year.